Like many moms today, I worked a full-time job when I gave birth to my first child. I remember how hard it was to leave my baby after my 12 weeks of maternity leave were up—a generous policy compared to many work places, yet meager compared to other parts of the world. I blinked back tears as I commuted to my office and felt a huge part of me left behind at home. I also remember the day I packed up my office for the last time, a few weeks before my little girl’s second birthday. I would miss looking out my wall of windows to behold the Capitol and downtown Austin—I doubted I would ever score such a view again—but I looked forward to my freedom and more time with my growing toddler. Back then, I was a single mom, sharing custody with my child’s father. I saw my daughter for two hours each weeknight after work and every other weekend. She lived with me, but the practice of law is a jealous mistress. The rest of her time was spent with my devoted, Spanish-speaking nanny or my child’s father. It was probably these circumstances that led me to walk away from the work force at the time, but only after I was engaged to someone able to provide financial support. Single parents have the first and foremost priority of providing a roof over a child’s head, food and health insurance; everything else is secondary. Fast forward six years later, and I’m a mom of three, happily married and enjoying life as a freelance writer and Zumba instructor. And then life dealt me a broken foot, so teaching the latest Latin moves was out of the question. As I clomped around in my boot, I pondered my next move. I loved my free time with my kids, but in the back of my head I always wondered if I would return to the work force. I knew the longer I stayed out, the harder it would be to return. The corporate world could understand some time off to raise children—women seem to be given this latitude more than men—but how long of an absence was acceptable? Five years? Ten years? Six years had elapsed since my time at a law firm, and I decided it was time to dabble my feet in the water again. While sidelined, I reactivated my bar license and had fun watching continuing legal education videos about white-collar crime. This may sound fairly boring, but as far as the law is concerned, this is exciting and interesting stuff. I spent a week’s worth of time applying for a few prosecutor positions with the Department of Justice. They happened to be hiring in a nearby big city, and those opportunities don’t pop up everyday. I have no prosecutorial experience, but being in the courtroom going after bad guys has always been a dream of mine. Of course, it may not be the job most compatible with balancing motherhood, but I would worry about those details later. Fast forward a few months, and the feds hadn’t called yet. As I mentally prepared for my foot surgery, I periodically checked out the online job listings to see if anything fit my requirements and vice versa. Most legal jobs here are out of the question because I am not licensed to practice law in Florida, and there’s no way in heck I’m sitting for another bar exam. One day I saw a listing for a part-time job where I actually understood most of the responsibilities and seemed to meet their hiring criteria. I quickly shot them my resume and a hastily written cover letter, as I didn’t want to waste multiple hours on an application only to hear crickets in response. My surgery was coming up soon, but I figured it would be months until I’d hear a response; after all, the job posting was brand new. Lo and behold, I received an email requesting a telephone interview. I was floored and realized I hadn’t interviewed for a job since 2006. The timing was interesting. I was scheduled to have surgery the very next day. After much thought, I brilliantly (or stupidly) set up the interview for the following morning, hours before my surgery. I didn’t want to risk fielding questions while under the influence of post-surgery pain meds. I would go through an interview sans caffeine (or anything), as I was about to undergo general anesthesia. I’ve never experienced a job interview without adequate hydration or caffeine coursing through my veins. I told myself this was all mental and that I could do it. I was so nervous about the interview that the impending procedure became an afterthought. The phone call seemed to go okay. I didn’t really think the interviewer was too impressed, and I figured I did not get the position. To my surprise, I received a job offer at the end of the week, as I floated around in my post-surgery stupor, non-weight-bearing for nearly one month. I was excited but also very scared. I was returning to the world of deadlines, responsibility beyond my family and the billable hour. Two months into the job, and it is the perfect fit for my life. I work remotely and bill about 30 hours per week. The company is flexible and doesn’t micromanage my time. I can go to work in pajamas with greasy hair and don’t have a commute. The hardest part is the aspect I struggled with years ago—mommy guilt. When I got the gig, we scrambled and had to put all of the kids in full-time care, not an easy feat at times during the summer. Luckily, there were a few day camp options, and my youngest son’s school goes year round and caters to working parents. A part of me felt guilty at first. As my foot healed and I regained my ability to walk, and could finally fit my deflating big foot in flip-flops, I wondered, shouldn’t I be hauling the kids every day to some cool summer location, like the beach, pool, or the museum? I know the days are long and the years are short, and I don’t take a day for granted with them. But then I thought back to my days as a single, working mother, and I remembered what I did back then to cope. When I came home from work, I completely switched into “at home” mode. My attention was on my daughter for those two hours before her bedtime. My nanny tried to bathe her but I insisted on having that duty, as I needed every minute with her. I treasured reading to her each night as we rocked. I remember waking up most Saturday mornings to attend a parent and me music class, as we often rushed home afterwards so her father could pick her up for his time. When you work, you don’t necessarily miss out. You just have to become more present when you are with your kids. Ask them about their day, look them in the eyes, engage them in conversation, put down your phone. For working parents, most of these things are no-brainers because you can’t wait to see your little ones at the end of each day. You are tired, but you find that extra reserve of energy and enthusiasm to share with your greatest work in life: your children. You also become a weekend warrior. When you have a blank canvas of a week in front of you, Saturday and Sunday don’t seem as crucial to fill with meaningful time. As a family, I feel like we have really lived life lately. We’ve been to the beach, the pool, the zoo, church, brunch, the movies . . . we are exhausted come Sunday evening, and sometimes the solitude on Monday morning after the kids are dropped off is a welcome one. Whether you work outside of the home, at home or stay at home with your little ones, I can say there is no easy path. You can only choose the best option for your family, and make the most of your precious time together. Aimee Tafreshi is a freelance writer and attorney who also contributes to Nameberry.com and her own blog once in a blue moon, aimeetafreshi.com. She is also a mother and professional chauffeur to three spirited, young children. Image courtesy of franky242 at FreeDigitalPhotos.net. 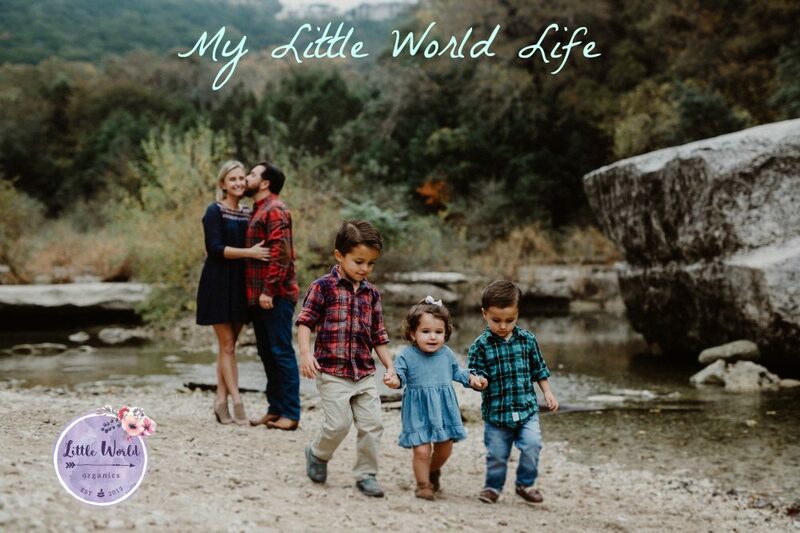 This entry was posted in Guest Posts and tagged baby, children, Family, motherhood, parenthood, parenting, stay at home mom, working mom. Bookmark the permalink.